1. The financial institution (FI) has to re-register and is not able to view previous returns on the portal, because login details are unknown following staff changes. Automatic Exchange of Information (AEOI) portal login details should be held securely and known only by those who need them. The FI should ensure that there is an appropriate procedure to maintain access to their portal. A pseudo email account might be an appropriate solution, providing the FI has robust security and data protection safeguards in place. 2. The FI misunderstands what constitutes an undocumented account. HMRC has advised that FIs are wrongly reporting accounts as ‘undocumented’ when a self-certification requested from an account holder has not been completed. This has led to numerous accounts being erroneously reported with a GB resident country code. The definition of an undocumented account can be found at IEIM403100. 3. The FI makes a submission using the XML schema which is rejected due to inappropriate re-use of MessageRef, FIReturnRef and AccountRef. The schema guidance gives comprehensive advice on use of references and can be found here. 4. The FI reports accounts where the account holder is not resident in a reportable jurisdiction. Individuals who are not resident in a reportable jurisdiction (see IEIM402340) should not be reported. Some jurisdictions which have signed up to CRS are non-reciprocal, and some which have signed up are not yet ready to receive exchanges. 5. The FI reports accounts as being NPFFIs but resident country code is not US. The term non-participating foreign financial institution (NPFFI) is for FATCA only, in respect of years up to 2016, and not applicable for CRS purposes. If used, the resident country code should be US. 6. The FI reports accounts that are excluded accounts and therefore non-reportable, such as registered pension schemes. A full list of excluded accounts can be found at IEIM 401720. 7. The FI reports persons who are not reportable. Under CRS, corporations with regularly traded stock and related entities are not reportable account holders, nor are governmental entities, international organisations, central banks or financial institutions. A list of exemptions to the term ‘specified US person’ under FATCA can be found in Article 1 (gg) of the UK-US Inter-Governmental Agreement (IGA). 8. The FI reports joint individual accounts as entity accounts. A jointly-held individual account is not an entity account and the account information to be exchanged can be found at IEIM402140. However, partnerships, including general partnerships, are treated as entities, irrespective of their legal form (see IEIM400860). 9. The AEOI enquiry helpline is for financial institutions only. HMRC requests that you don’t share details of the AEOI enquiry helpline with your account holders. This inundates its AEOI filing team and prevents it from being able to assist FIs with their reporting obligations. 10. The FI leaves filing to the last minute. Filing submissions sufficiently in advance of the 31 May 2018 deadline allows FIs extra time to deal with any unexpected issues such as missing information, or inaccurate XML schema, that might lead to the submission being rejected. STEP will continue to consult with HMRC on ongoing technical issues. With reporting now underway in the UK for both FATCA and the Common Reporting Standard (CRS), STEP has been liaising with HMRC on some of the finer points of reporting. Can I still submit CRS amendments? There is some time available following the 31 May 2017 deadline for submission of amendments or corrections. If you need to submit an amendment within the first few weeks of filing then HMRC should be able to include the amendments in the first exchange scheduled for 30 September and the information will be sent to the relevant jurisdiction. What are the penalties for late CRS reporting? HMRC has confirmed that they will take a soft approach towards penalties in the early stages of CRS (like FATCA, the US Foreign Account Tax Compliance Act ) – particularly if there are CRS system errors that incur late filing. However, a harder approach may be taken towards people who are deliberately negligent with their filing. FATCA: what do I do if a US TIN is unavailable? It has previously been identified that in some cases a nine-zero approach will be accepted when a TIN (Taxpayer Identification Number) is unavailable. Some accounts are being filed with missing TINs which causes difficulties because the system will respond that it has been submitted in an incorrect format. The ‘missing TIN’ cases are inevitably causing issues for users and HMRC and HMRC is waiting for feedback from the IRS later this year on how to resolve it. It may be deemed acceptable that the nine-zero approach continues in the short term. I have received a FATCA renewal message, what do I do? If you have received a FATCA renewal message for an FI (Financial Institution) from the IRS then you will need to login, check that renewal is not required and confirm that. For further information see p 84 of FATCA Online Registration, which says ‘FIs notified of the potential need to renew their agreement should login to the FATCA Online Registration System and view the ‘Renewal of FFI Agreement’ page … FIs must determine if they need to renew their agreement and then must submit their determination … All FIs should follow steps 1 through 4 below to determine if they must renew their agreement’. What is the deadline for client notification? The UK Client Notification Regulations came into force on 30 September 2016. The obligation for practitioners to notify any clients with offshore accounts and assets that HMRC will soon begin to automatically receive data from over 100 jurisdictions relating to UK tax residents and their offshore accounts, in accordance with the UK’s automatic exchange of information agreements, must be met by 31 August 2017. See this STEP blog for more information. The OECD Common Reporting Standard (CRS) is probably going to impact directly every STEP member outside of the US – the only major international financial centre not so far committed to joining the CRS. Even STEP members in the US, however, are likely to have to consider CRS’ implications for any clients they have with widely spread financial interests. Fortunately, CRS is very closely based on FATCA, so most of the work practitioners have done on FATCA implementation over the past couple of years should serve them well when it comes to CRS implementation over the next year or two. There are, even so, a couple of wrinkles in CRS which might trap the unwary. One difference is that some of the reporting options available to trusts which are considered Financial Institutions (FIs) under FATCA, specifically ‘owner documented’ status and ‘sponsored investment entity’ status, are not available under CRS. Basically, under CRS, trusts that are FIs can either be trustee-documented trusts or must report directly, although they can come to third party service agreements with others to complete their reporting for them if they wish. Another potential trap is that while all regulated charities were essentially exempt from FATCA reporting, some charitable trusts will need to file reports under CRS. Charitable trusts that are Non-Financial Entities (NFEs) are regarded as Active NFEs under both FATCA and CRS and are therefore not reportable. Under FATCA, charities that are FIs were also carved out as ‘Deemed Compliant Financial Institutions’ and thus did not need to register or report. Under CRS, however, such charitable trusts do not have ‘Deemed Compliant’ status. Thus, under CRS, charitable trusts that are FIs – typically because they have a discretionary fund manager – will need to perform due diligence, establishing the tax residence of all Controlling Persons (including beneficiaries) and report any reportable accounts. STEP recently arranged a meeting between some charity advisors and HMRC on this issue and HMRC are now looking to draft some additional guidance for the charity sector in the issues raised by CRS. In drafting this guidance HMRC would welcome further input from practitioners. Therefore, if you have encountered any specific difficulties or have any particular questions, please contact STEP and we will undertake to pass them on to HMRC as they are drafting their guidance. The Financial Times (FT) ran a story on Saturday 18 October about confusion over the Foreign Account tax Compliance Act (FATCA) deadline for trusts. It’s certainly true that the US has provided no clear deadline for trusts that need to register with the IRS under a Model 1 IGA. As the FT notes, the collective view of the three professional bodies, STEP, Law Society of England & Wales and ICAEW, that have produced joint guidance on FATCA for trustees is that, for those that need to, it would be prudent to ensure that the registration process on the IRS website is completed by the end of this week (25 October). While the IRS registration system has performed well over the summer, the risk of last minute problems as Financial Institutions rush to register cannot be ruled out. The late October recommendation is thus based on a cautious view, but we note that registration on the IRS website is not the end of the process. The key requirement for trusts (or corporate trustees) who need to register is that they appear on the published list of Financial Institutions by 1 January 2015. There is a lag between registering on the IRS website and appearing on the published list. Moreover, many trustees are now being asked to confirm their FATCA status by Financial Institutions they transact with. Clearly, as the end of the year approaches, these requests are likely to become ever more insistent. Through the Finance Act 2013, the UK-US ‘Agreement to Improve International Tax Compliance and to Implement FATCA’ is now part of UK law. It is imperative that all UK trusts and trustees urgently consider their status — regardless of any known US connections. The Foreign Account Tax Compliance Act (FATCA), part of the US Hiring Incentives to Restore Employment Act (2010), aims to combat tax evasion by US tax residents using foreign accounts. The US legislation requires financial institutions outside of the US to provide information about their US customers to the US Internal Revenue Services (IRS). 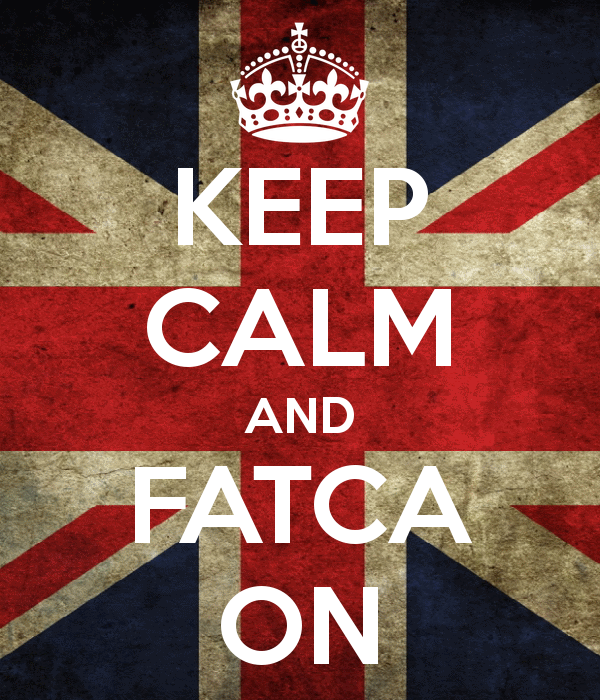 The era of FATCA is well and truly underway. At the time of writing, around 77,000 financial institutions worldwide have registered with the US authorities – with more expected in the coming months – with the first reporting period having begun in June 2014. Over 30 jurisdictions, including the UK, have established bilateral agreements to comply with FATCA and almost 40 more have formed ‘agreements in substance’ with the US Department of the Treasury. These intergovernmental agreements (IGAs) allow financial institutions in partner jurisdictions to report the information of US account holders to their respective tax authorities for subsequent sharing with the IRS, in most cases with reciprocal reporting arrangements. Under the UK-US Model 1IGA, all UK trusts are considered as reportable entities subject to FATCA with the onus on trustees to register any trusts considered to be ‘financial institutions’ under FATCA. If they have not done so already, UK trusts and trustees need to determine whether a trust should be classified as a financial institution under FATCA. They should also endeavour to ensure they are registered for a Global Intermediaries Identification Number (GIIN) no later than October this year. From 1 January 2015, financial institutions not registered with the IRS will be deemed non-compliant and subject to a 30 per cent withholding tax. Not only are FATCA and the UK-US IGA complex, but there has also been a mistaken perception that the legislation does not apply to all UK trusts and a misunderstanding of the actions practitioners need to take in order to comply. To clarify UK reporting obligations, STEP in partnership with the Law Society of England and Wales and the Institute of Chartered Accountants in England and Wales (ICAEW), published a guide outlining obligations under FATCA. The guide is based on current understanding of both US FATCA legislation and HM Revenue and Customs guidance on the UK-US IGA, last updated in February this year. Importantly, even if a financial institution does not need to register with the IRS, banks and fund managers it uses will request that the trustees confirm its FATCA status as part of their due diligence processes. a Holding Company or Treasury Centre where holding stock of at least one financial institution is its primary activity. If an entity is not classed as a financial institution under FATCA it must be classed as one of two types of Non-Foreign Financial Entity (NFFE). An active NFFE is engaged in a non-financial business whereas a passive NFFE is not engaged in a business and it will usually be required to identify its owners to the financial institution with which it has a relationship, particularly if it is owned by any US Persons. iii) report the relevant payments to the authorities. It is up to the Reporting Person to ensure that engagement letters are sent to clients to clearly outline the scope of FATCA reporting compliance and what (if any) information must be registered. They should also make clear that the client will be responsible for communicating any changes in circumstances that may alter their FATCA status or if there are any changes in their US connections. Connections include the involvement of a US citizen or permanent resident; a person born in the US; a person transferring funds to US accounts; a US settlor or beneficiary; or a signing authority for a person with US address. Given the intrinsic role client information plays in adhering to FATCA, it should be recorded carefully and kept up-to-date. Future changes in a client’s circumstances may have consequences for their FATCA status. I therefore strongly advise practitioners establish a process for periodic review. Accountants, for example, should incorporate FATCA-related checks into their yearly accounts preparation process. Clients should also be made aware of data protection issues as it may be necessary for them to share their client’s FATCA status and GIIN with other bodies and make appropriate reports to UK tax authorities as permitted under the Model 1 IGA. At the time of writing, it remains unclear as to the deadline for obtaining a GIIN and how trusts will be regulated under FATCA if they are created after the initial period of registration. In the interim, and taking into account the requirements of banks and other institutions to be able to operate accounts, it would be prudent to register any new trust as soon as is practicable. One area to pay particular attention to is the role of executor; they are not regarded as entities under FATCA and will therefore be reported upon as usual. There is one exception, however, in that the accounts of deceased persons are not reportable accounts as long as the financial institution is able to produce a death certificate. Occasionally, executors become the trustees of a will trust and the point of transition between the two can be difficult to identify with precision. Practitioners will need to be prepared for such an eventuality and ensure that the appropriate steps are taken including appointing corporate trustees when necessary and updating client records accordingly. George Hodgson is STEP’s Deputy Chief Executive. G-20 Summit – global automatic tax information exchange by 2014? For the press, the most eye-catching item on the agenda at the recent G-20 Finance Ministers Summit in St Petersburg was the (still rather vague) proposal to clamp down on corporate tax avoidance by tackling base erosion and profit shifting. For many STEP members, however, perhaps the most important item was the (very firm) instruction to the OECD that it should produce a clear timeline for completing work on a single global standard for automatic information exchange in 2014 in time for the next G-20 summit in October. The proposed OECD global standard is to be largely based on the FATCA Model 1 IGA model. If we therefore put the G-20/OECD initiative alongside the recent statement from the US (that delayed FATCA reporting for a further six months and also seemed to recognise that FATCA Model 1 IGAs seemed to offer a much easier solution to everyone than raw FATCA) it becomes relatively easy to envisage that in reality rather than the introduction of unilateral FATCA reporting to be followed quickly by a new system of OECD multilateral FATCA-style reporting, we will actually see a single move globally to automatic exchange of information (AEOI), perhaps in 2015 or 2016. Multilateral AEOI has always been the long-term objective of bodies such as the OECD. But there now seem to be growing numbers putting their weight behind the OECD model, including most recently the EU Commission. With the US also showing (some might say rare) flexibility regarding the introduction of its own (unilateral) AEOI model, it may be that consensus has now been built for a quick move to global AEOI in the next 24 months. The EU Commission held a full day meeting with experts to explain its plans for developing full multilateral automatic exchange of tax information across the EU. Of, course the EU already has the Savings Tax Directive, but that only covers interest income, and plans to extend it have long been held up by objections from Belgium, Luxembourg and Austria that they were not prepared to agree to the extension until certain issues, like automatic information exchange with Switzerland and the treatment of ‘Anglo-Saxon’ trusts had been resolved. The EU has opened discussion with Switzerland, and we were in Brussels a couple of weeks ago making a major presentation on trusts (to all 27 Member States, including Belgium, Luxembourg and Austria), so the Savings Tax Directive project is inching forward. In the meanwhile, however, it is clear that politically the EU is keen to develop its own version of FATCA as quickly as possible. Its chosen way of doing this is to extend the Administrative Co-operation Directive (DAC, another acronym for the lexicon!) to cover all payments and account values by 2015. The Commission objection to FATCA is that it is US-centric and not really suitable for multi-lateral rather than bi-lateral information exchange. All of which is true and the reason why the G-8 has asked the OECD to work on its own model for multi-lateral automatic information exchange. As all the experts in Brussels (including STEP) therefore pointed out, the result is that potentially over the next 2 years the industry will have to work on implementing 3 different tax information exchange systems at once – FATCA, DAC and whatever the OECD comes up with – each basically designed to do the same thing but each doing it slightly differently. This is clearly absurd, but it will be interesting to see who blinks first. For STEP members I suspect the G-8 meeting has confirmed a couple of things, but left others open to question. The final communique confirms that we are moving from tax information exchange on request to automatic tax information exchange as the international standard. Moreover the OECD paper released for the G8 summit suggests strongly that Model 1 style FATCA Intergovernmental Agreements (IGA) are likely to be the basis of the new global automatic information exchange mechanisms. None of that should come as a major surprise to anyone. It also looks like the debate about improving transparency of beneficial ownership has been a difficult one for G-8, in spite of this being the area where the UK worked hardest to build expectations ahead of the summit. At the end of the day the G-8 members have agreed to implement the latest FATF Recommendations, but they would have to in any case. The US has also agreed to look at the issues that prevent effective access to beneficial ownership information in some US states, but without any clear timetable or indication of how it proposes to tackle the issue. The UK is pressing ahead with a corporate register of beneficial ownership, but seems unlikely to make this a public register. On most reports it has also secured an agreement with the CDs and Overseas Territories regarding Mutual Assistance. The direction of travel on all these issues is nevertheless clear. Later this week, for example, I am attending an EU meeting with the Commission on moving to automatic information exchange. As a senior figure at this week’s STEP Guernsey conference put it, the important issue for both the industry and jurisdictions in this environment is to ensure they are seen as part of the solution, not part of the problem.